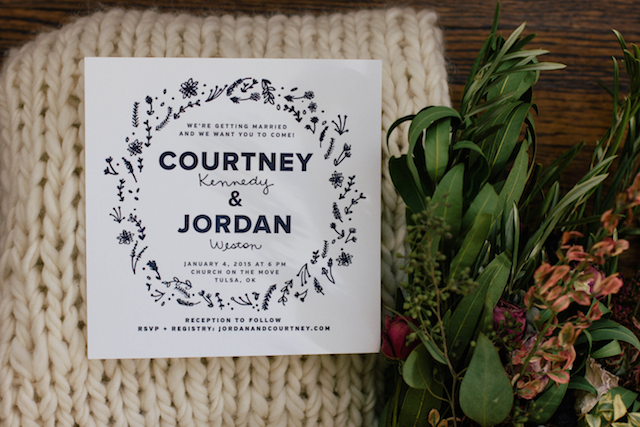 One of my favorite details from our wedding is the invitations. 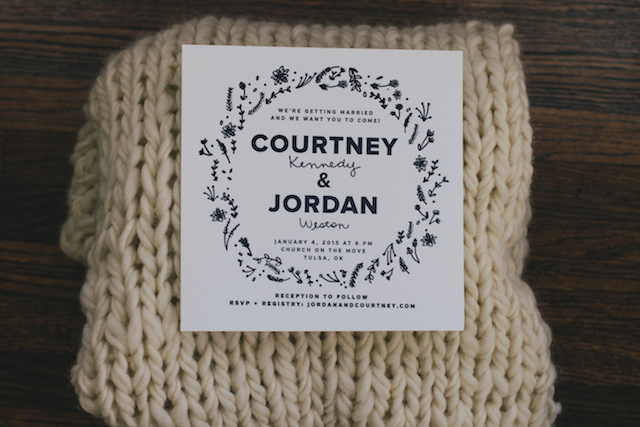 Mainly because they were designed by our good friend, Rachel and letterpressed by my brother, Chase. When Jordan and I were deciding what we wanted, we found a lot of examples by perusing pinterest and pulled those together to send to Chase and Rachel. 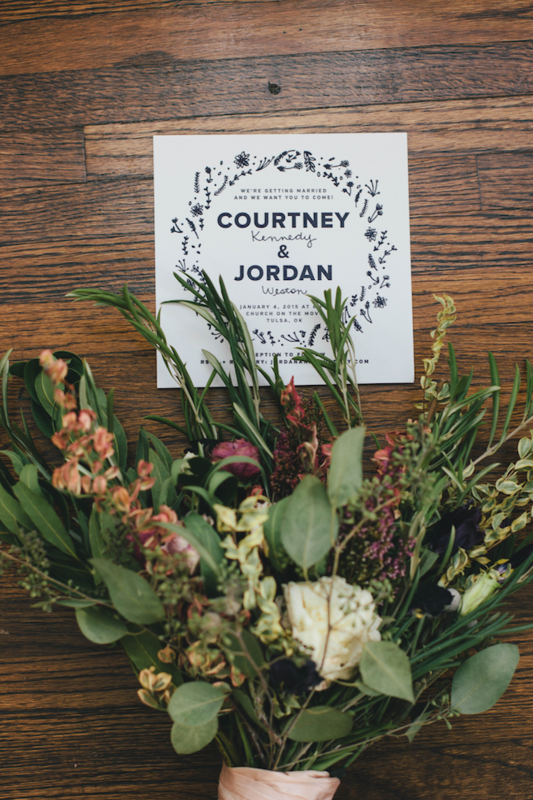 We decided to throw out all the "invitation rules" and just write what felt comfortable for us. 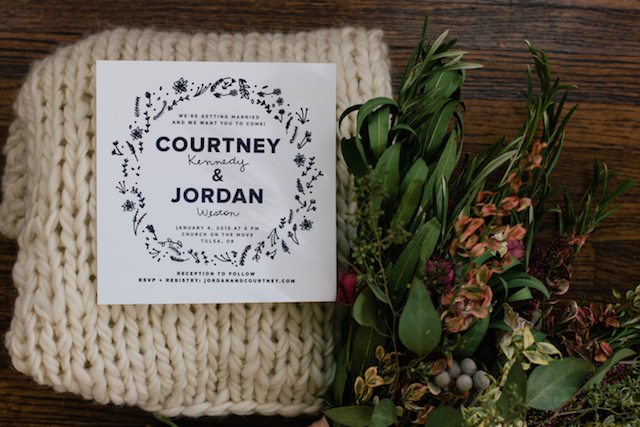 We ended up with invitations we loved! I asked Chase and Rachel to share below a little bit about the design and printing process. 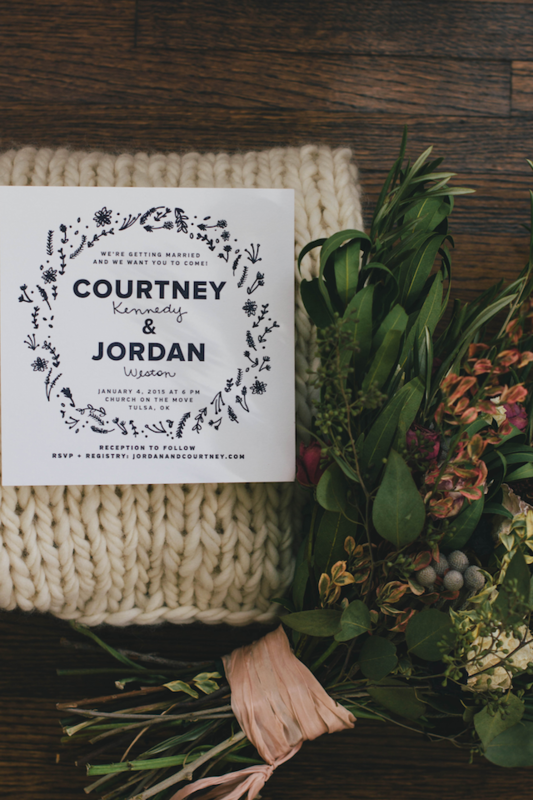 Rachel: When Courtney first asked me to help design her invitations, I was thrilled. She pretty much knew how she wanted them to look, but was also one of the easiest people to work with. 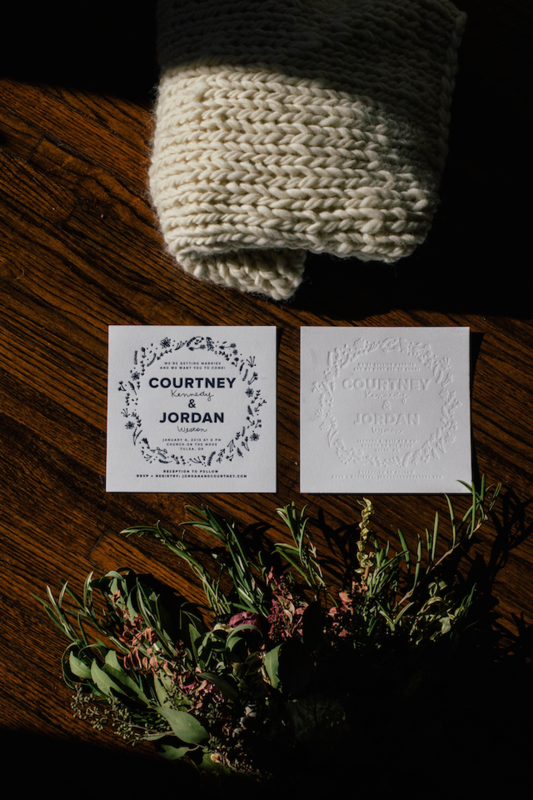 She would send me images of inspiration she liked, all different types of letterpress styles – some with heavy illustration, some with strictly typography, some with a balanced blend of both. She and Jordan locked in to what copy they were wanting to use specifically, and I got to work. 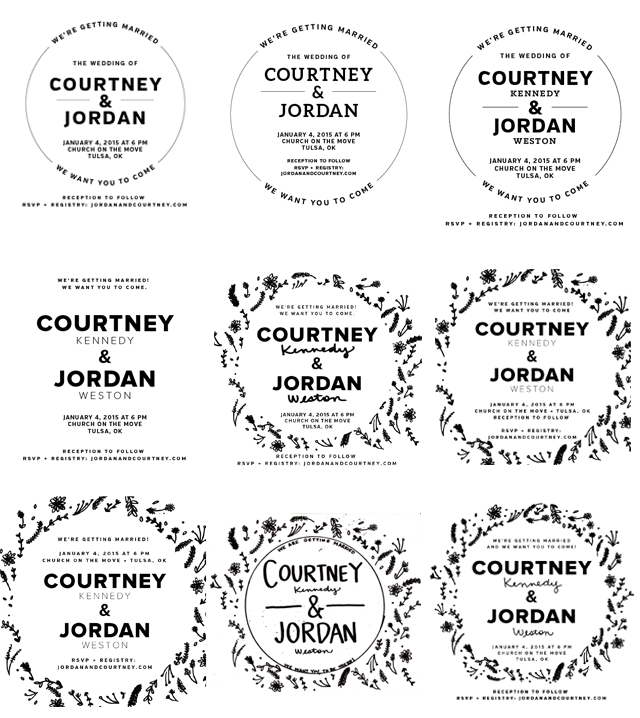 We sorted through a few different rounds (see below) – would the RSVP info be included in the overall circle design, or a stand-alone segment? 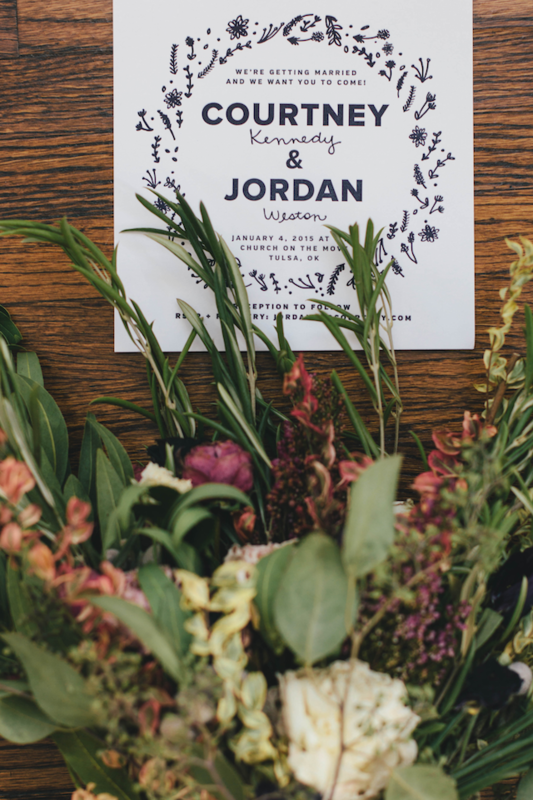 What font pairing worked the best with the vibe of their big day? Did she want their last names on it, or simply their first names? It was a good start, but a little bland. We planned on adding some art, but I wasn’t coming up with any that fit. So Courtney grabbed a plain piece of paper and sketched out this just as an idea. It was perfect! All I had to do was clean up the pieces in Illustrator and finesse the way they were arranging to fix the exact sizing of the finished invite. The final thing was the last names – seeing them in her handwriting in the sketch made all the difference, and was the perfect pairing with her art. So Courtney wrote a handful of Kennedys and Westons, I vectorized it and cleaned up some of the curves, and played with the right thickness so it was a complement to the type, not a distraction. 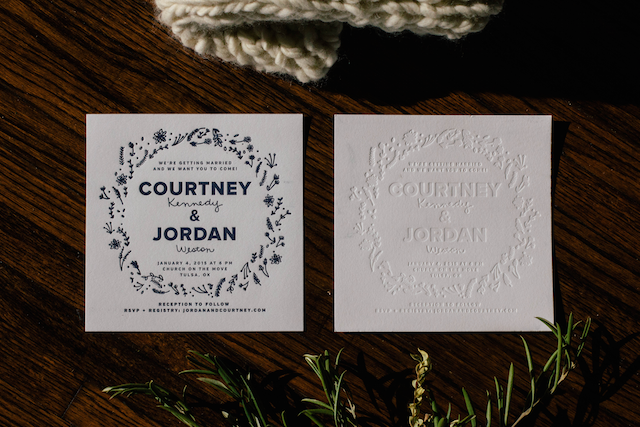 Chase: I am still very new to letterpress, but it has quickly become a new passion of mine. Being a freelance graphic designer and videographer, most of my time is spent staring at a computer screen, dealing with flat, digital images. I love letterpress because it is all about feeling and touch. There is no undo button, no copy and paste button.. if you mess up, you start over. There is something very therapeutic about that to me. I loved that I got to take that same process and produce it for my sister's wedding. After I got the final design from Rachel, we did a few test runs on different thicknesses and shades of paper to see which way the design would show up best since it would be a blind letter impression (with no ink). We ended up going with 220b fluorescent white paper from Crane Paper. 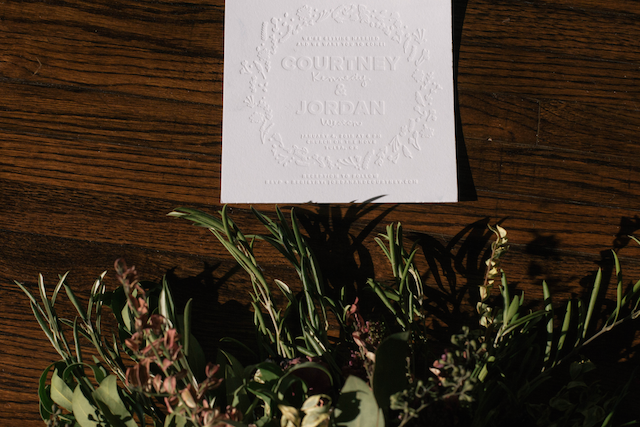 I also ran a few tests with a off white ink to see if it was easier to read the invitations. In the end, we decided completely blind letterpress was the way to go. After getting some other opinions (mainly from our wise parents), we decided to print half the invites in a navy ink so it was easier for the older guests to read. I think the crisp navy ended up looking great pressed and the overall goal we were hoping for was achieved. After we got all the invitations pressed, we invited some friends over for a letter-addressing pizza party. Thanks to our friends, we addressed 350 invitations in just 2 hours! 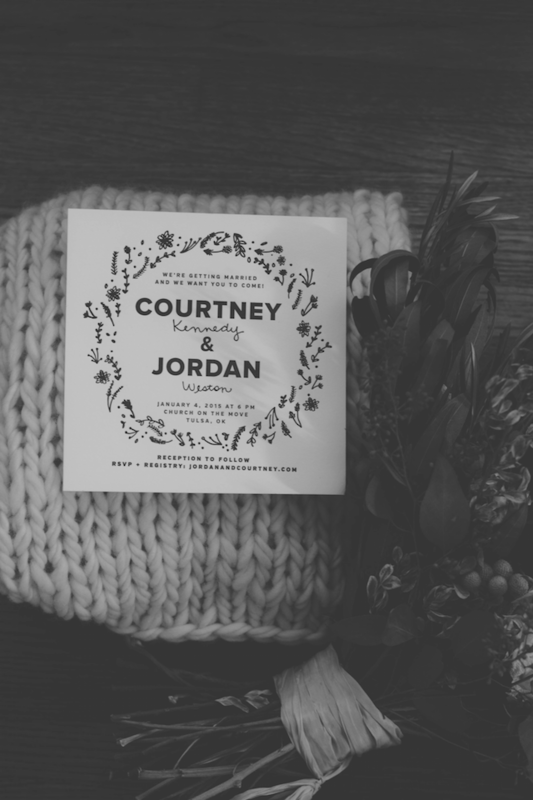 I think it made the invitations even more special that they were created by people so close to me and Jordan. It really helped us achieve exactly what we wanted with adding just another small, special detail to the wedding. I feel like the main thing we learned through planning is to choose to work with people that actually care about what you want, and that is how you will get the vision you have in your head to come to life. 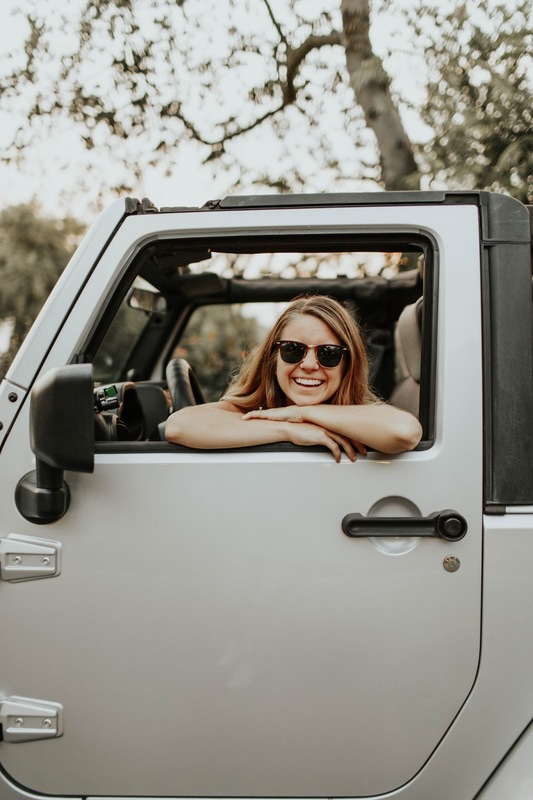 Don't forget to follow Chase here for video, letterpress and design updates and follow Rachel here for a daily dose of inspiration and shop her Etsy here. These are really beautiful! The details make them look so special as well. I think my favourite thing about our wedding planning is having the people most special to us involved. It makes some really amazing memories. 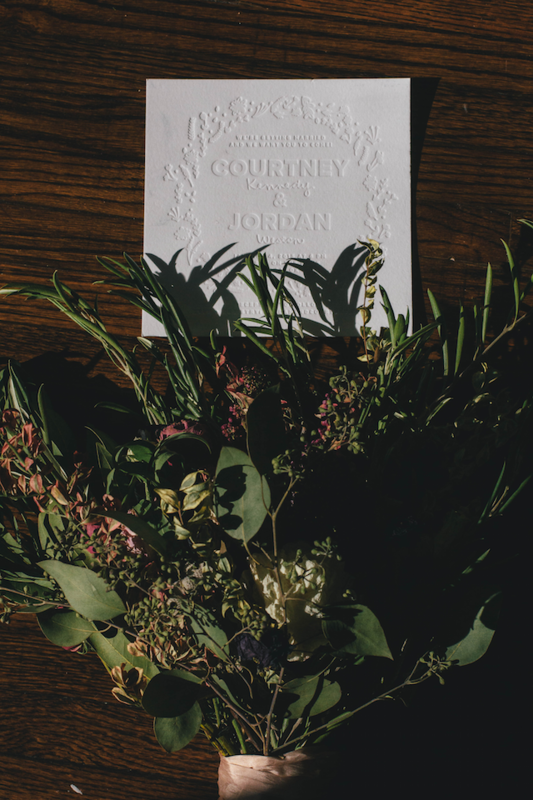 It might be "just an invitation" but every time you look at it in the future not only will it bring you back to your wedding but also the people who you made it with and the friends who helped you get them sent out! I completely agree! It is a special thing to be surrounded with people that care enough to add small details that mean so much to your day!